Check back for frequent updates. Gastroenterology & Endoscopy News interviews an expert panel on the ins and outs of anesthesia ownership. Read the full article on their website. 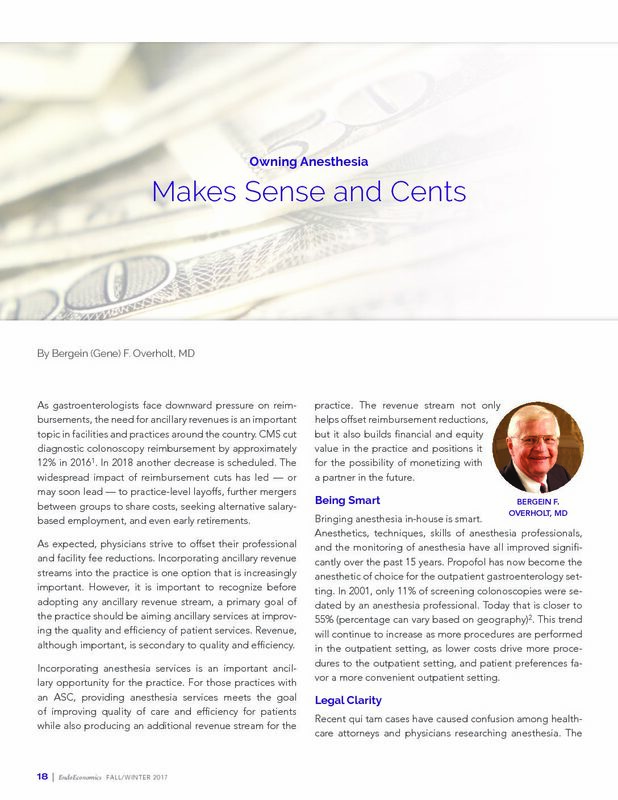 Dr. Gene Overholt provides insight into legal, financial and organizational aspects of owning your anesthesia. Jay Kreger, President of CRH Anesthesia, discusses changes in gastroenterology and strategies to offset current challenges and future risk in an interview published in Becker’s ASC Review.